Once upon a time, superhero video games were a rare and sometime special occasion — especially if the game was any good. But now, superheroes are everywhere, and while we haven’t had that big budget, A-List Avengers console game, Marvel is going gangbusters in the mobile app market. There are fighting games, team-building games, card games and more, all advertising excellent superhero action. I’m now a month deep into their latest offering, Avengers Academy, and I wanted to list out a little review. 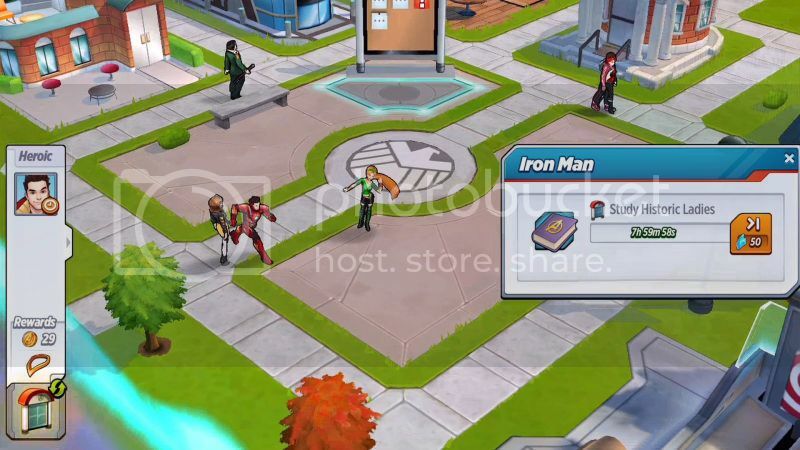 Avengers Academy is a free-to-play city building game that recasts the Avengers as college or high school students. It’s a bright and colorful game that has you sending the Avengers on missions throughout the day, while buying new buildings to put on campus. At the moment, we’re right in the middle of the first big game event, featuring the Leader, A-Bomb and Red Hulk attacking the campus. 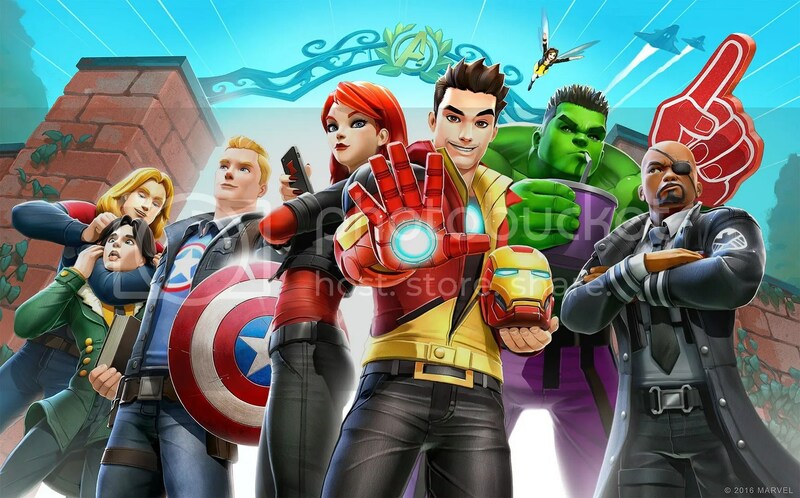 Avengers Academy is free to download from your mobile game store of choice. But join me after the jump to see whether or not you should. 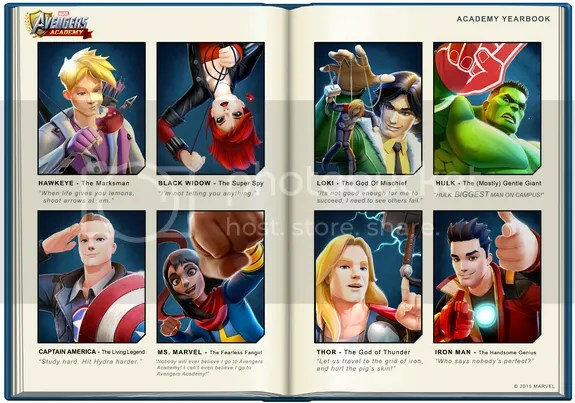 First and foremost, Avengers Academy is not really a ‘game’, per se. I’ve played a few mobile games in my day, not to mention my long history as a gamer, and Avengers Academy just doesn’t have any game play. There are no fights, no movement, no jumping or platforming or puzzles or anything even remotely resembling any of these things. Avengers Academy is a waiting game. You’ve got a squad of Avengers and the college campus, and the ‘game’ involves tapping an icon to send the individual members on ‘missions’. These missions can last anywhere from one minute to eight hours, and the only thing you can do is wait. When the wait time is up, you collect your rewards and send Iron Man, Wasp and Black Widow on even more missions. Each character gets a little animation when they’re on a mission, but all you can do is watch. You can’t influence the missions or interact with the Avengers. Some of the missions have a storyline attached, with some dialogue between the characters, but that is not yet substantive enough. Even when there’s dialogue attached, the missions are still the same tasks and animations. I’m entirely OK with this, because I’ve got stuff to do. I’ve got to go to work during the day, I’ve got to sleep at night, and I’ve got better video games to play when I’m home. So sending the Avengers on missions for a few hours at a time and then forgetting all about them is a pretty OK way to engage with them. But if you want a game with substance, this is not the game for you. Heck, you can only send certain Avengers on certain missions at a time. The game gives you the random list of missions and the randomly selected Avengers for each mission. But if your mission doesn’t call on you to use Captain America, then Captain America has nothing to do. He’s just going to wander around campus. 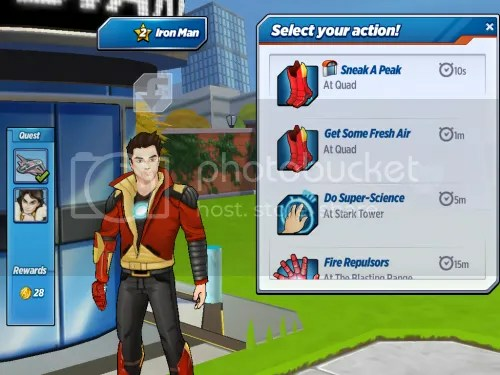 So as a ‘game’, there isn’t much substance to Avengers Academy. It takes a few seconds to assign missions, and then you’re done. But what about the builder aspect? You send your Avengers on missions to earn currency, then you spend that currency on character upgrades and new buildings around campus. 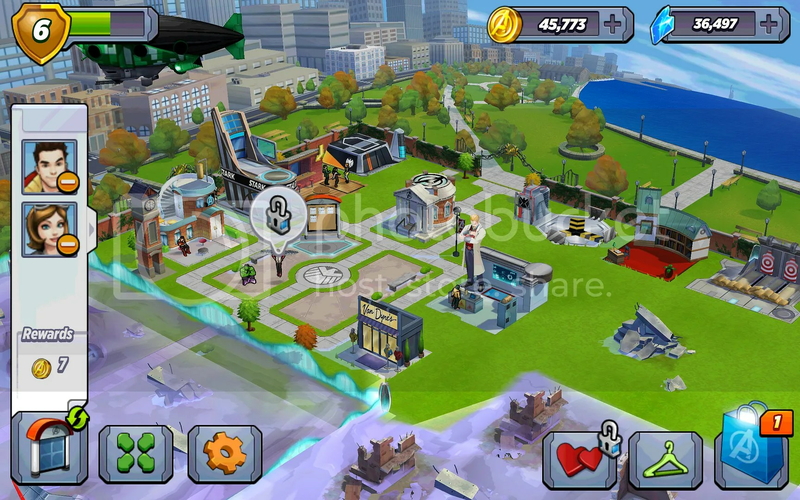 Ideally, this is supposed to allow you to build and design your own Avengers Academy campus. But that’s crap. There’s zero creativity to campus design. Several of the buildings, including the Quad, are locked in place at the start. Most of the buildings don’t really have anything to do with each other or the campus, and are just there to host the next set of mission animations. There’s no aesthetic reason why Stark Tower or the Asgardian Forge or the Robo Dojo should be on the same campus together. The design tools also aren’t very interesting. You can buy a few random decorations, and you can put down sidewalk, but mostly I just find myself creating a grid pattern. Get a new random building, plop it down in the next open spot, and draw a sidewalk box around it. Done and done. I’ve heard this game called a clone of The Simpsons Tapped Out, my favorite mobile game, and one I’ve been playing for years now. Tapped Out is a massive and intuitive city builder, with a lot of great design tools, a smorgasbord of accessories, and, mostly importantly, you’re actually building Springfield! From the famous to the obscure, from Moe’s Tavern to the Stonecutter’s Daycare, Tapped Out is gorgeous and truly embraces The Simpsons. There are enough buildings, and enough different and similar kinds of buildings, that you can build districts in your town. I’ve got residential districts, I’ve got business districts, I’ve got a casino district, I built a great looking park right in front of City Hall; Tapped Out might as well be Sim City: The Simpsons. Avengers Academy is nothing. There’s no character to the campus itself. There’s no real connection. You reach a new level and you plop down the next random building the game churns out, and then you send characters to grind the animation. So not even that part is fun. Not that quality really matters, because this game exists to get your money. All freemium games want your money. But Avengers Academy doesn’t really offer anything worth your money. How this works is that most of these games have ‘regular currency’ and ‘premium currency’. You earn regular currency by completing missions, and you use it to upgrade buildings and characters, which allows you to earn regular currency at a better rate. You get premium currency by paying cold, hard cash to the game. Then you use premium currency to buy special characters, buildings and cheats. 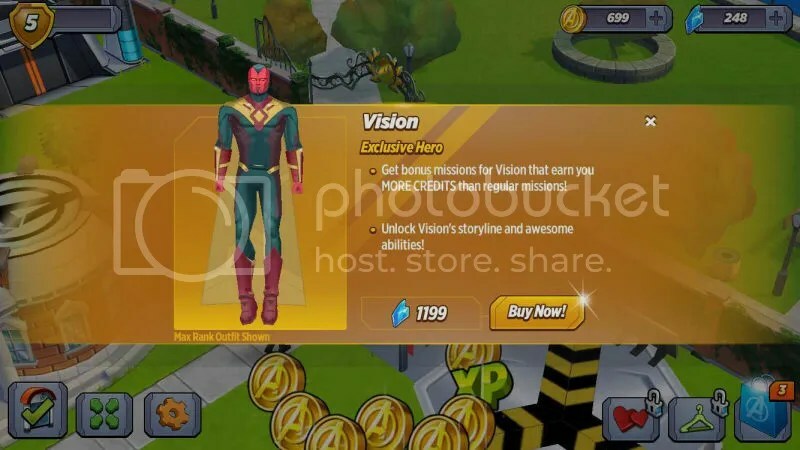 In Avengers Academy, you get Iron Man, Wasp and Loki for free, but for premium currency, you can buy War Machine, Spider-Woman, and Vision. But these premium characters don’t necessarily do anything special, they just go on the same exact missions as everybody else. You can also spend premium currency to speed up your waiting times. If you don’t want to wait eight hours to run a mission, spend some premium currency and the wait is over. They’re basically monetizing your lack of patience. And remember, there is nothing to do in the game during missions. There’s nothing in the game to help the waiting, unless you pay for it. And then once you pay for it, the only thing you can do next is go on another mission. So…money well spent? Marvel only sold off the movie rights to characters like Spider-Man and the X-Men, so those characters appear in Marvel video games all the time. 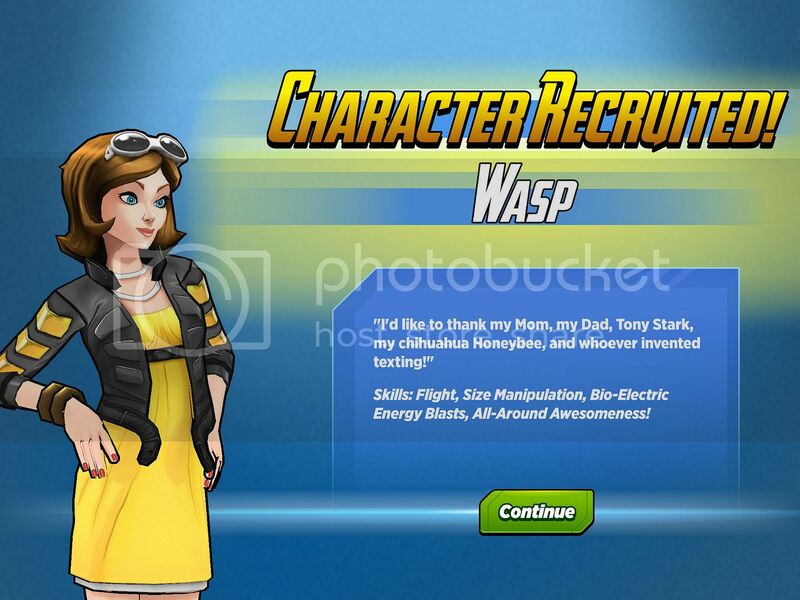 But so far, Avengers Academy is restricting itself to the Avengers in an odd mix of comic and movie versions. I like it. 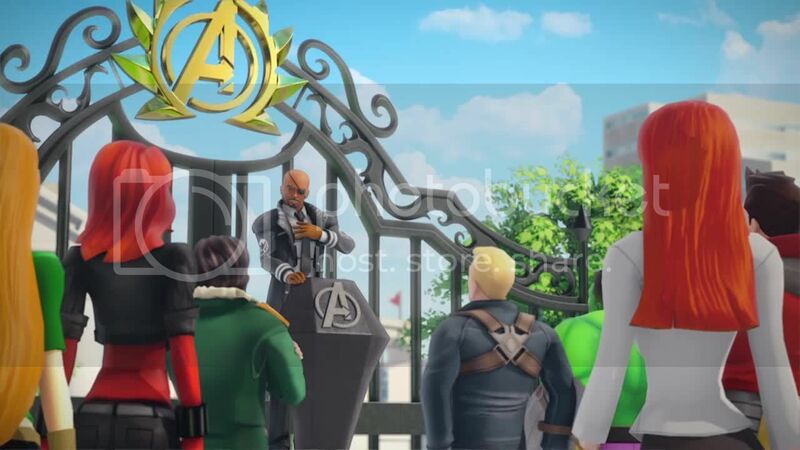 In terms of the movies, there’s no sign yet of Spider-Man, the X-Men or the Fantastic Four, the movie version of Nick Fury is the headmaster on campus, Pepper Potts and Odin are prominent faculty members, and Loki is a main character. 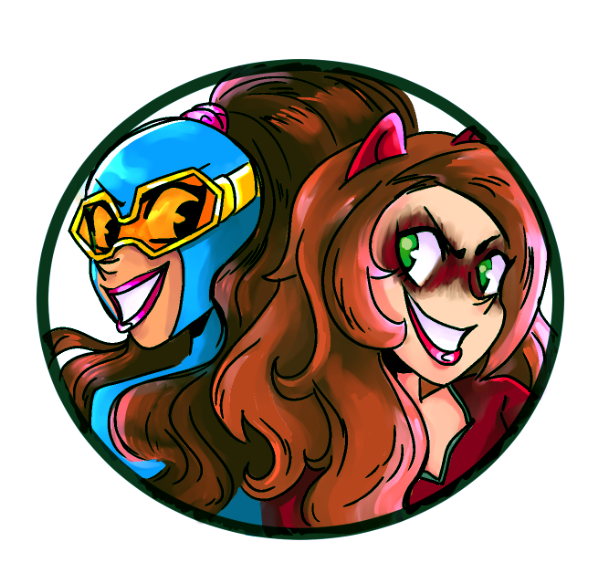 But in terms of the comics, so are the Wasp and the Enchantress. And the Guardians of the Galaxy are nowhere in sight. But then there’s the fact that Tony Stark is a student and Pepper Potts is a teacher, which is a problem, considering the movies. And then Hank Pym is a teacher and Janet Van Dyne is a student, which is a problem, considering the comics. It’s an odd bunch of mash-ups. 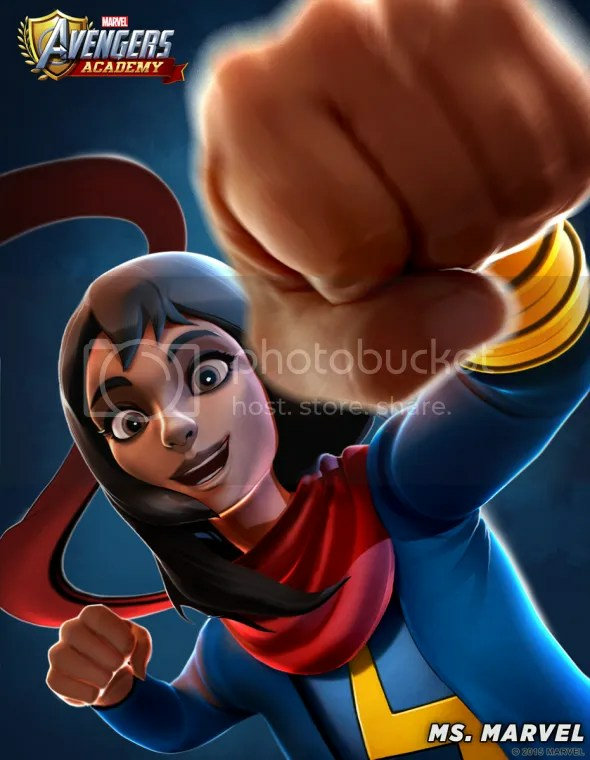 Kamala Khan is a character in Avengers Academy…and she’s voice-acted! This is pretty darn cool. I love that Marvel has embraced the character’s instant popularity, and I hope to see her a lot more in the world. There are both Avengers and Spider-Man cartoons out right now that could feature Kamala. And you better believe I’m holding out hope for that Netflix show. But for now, Ms. Marvel gets to wander the campus and go on random missions for Avengers Academy! It’s really neat. They do what they can to capture her fandom, but this writing isn’t exactly G. Willow Wilson caliber. Still, one must take what one can get. And actress Priyanka Chopra, star of Quantico, is her voice actress. She does a pretty good job, and it is definitely a little weird hearing Ms. Marvel’s voice. It’s almost as if we finally heard Calvin’s voice. I can’t really recommend Avengers Academy to anybody. It’s not a good game, the waiting isn’t exactly worth anything, and I have no idea if Marvel plans to stick with this thing to give it frequent, interesting updates. But I’m still playing, and I’m not going to give it up anytime soon, because I’m in it for the characters. 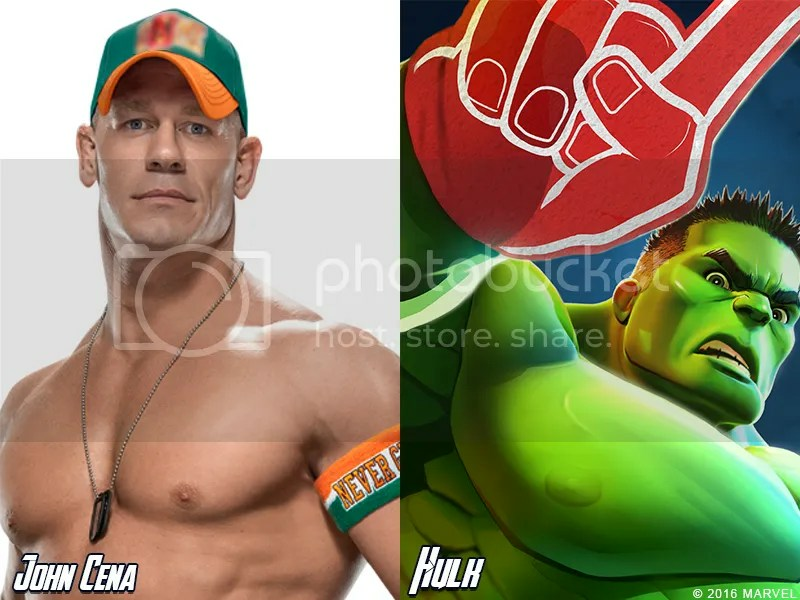 I love alternate reality trips and I love seeing the alternate versions of popular characters. I loved it at the beginning of the Ultimate Universe, when new ‘Ultimate’ versions of classic characters would show up. I love looking back all these years later at the Age of Apocalypse and discovering a new, hidden character cameo. I love this stuff. 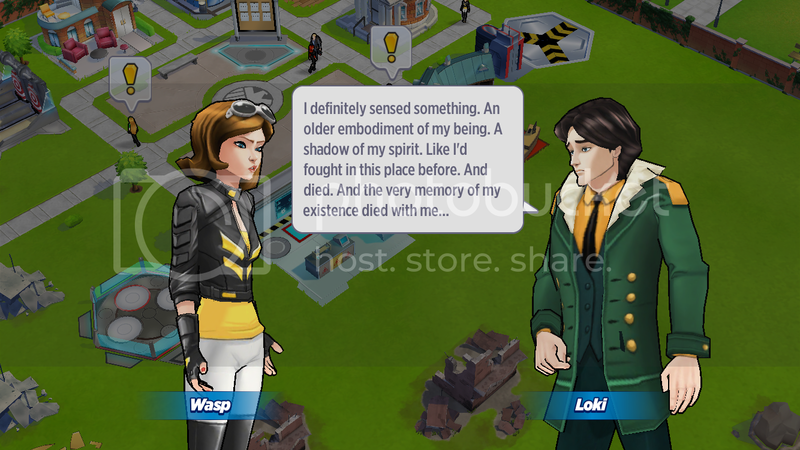 And Avengers Academy delivers that creative experience in spades. If there is one thing this game does right, it’s the design of their world. The characters are neat, the scripted interactions between them are…OK. But the designs look great, from the casual clothing versions of their iconic costumes, to the upgraded, fully-realized costumes. Everything looks really cool. Someone’s having a bunch of fun! And I’m eager to see who shows up next. Tigra, Taskmaster and Ant-Man are all in the game, I just haven’t unlocked them yet (and Ant-Man is voiced by Tobuscus!). At the moment, the latest update has introduced the Leader, A-Bomb and Red Hulk, with Baron Zemo introduced last week. So maybe somewhere, there’s a really cool designer churning out nifty-looking college student versions of the Avengers. Sounds like a heck of a job! I’m more than willing to spend a few seconds of my day to send the Falcon on another inane mission to see who shows up next! Posted on March 9, 2016, in Avengers, Lists of Six!, Marvel, Video Games and tagged Avengers Academy. Bookmark the permalink. 1 Comment.